As an act of rebellion, I refuse to feature this fraud on my Series Sunday meme. So here goes—Life and Death is Twilight Reimagined. Or as I would like to call it Twilight with a Pronoun Twist. Seriously. That is all this book is. Almost word for word. It is Twilight with every "he" changed to "she" and vice versa. Stephenie, you didn't fool this fan. This is NOT nearly 400 pages of new content. This is NOT how you celebrate ten years of a great series. Nobody asked for this. We want Midnight Sun! Wow! I would not even think of doing this to Twilight. 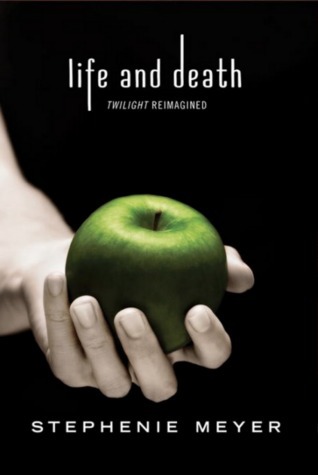 The author shouldn't have thought of doing this to Twilight either. Hmph.